Against your routine game, West starts with the ♥4 (low from odd). East wins the ♥A and returns the suit. 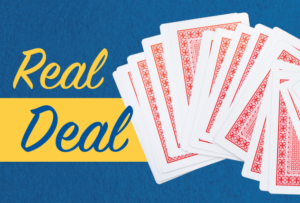 What is your plan for taking 10 tricks on this deal? The success or failure of the contract seemed to depend on the location of the ♦A, but declarer found an extra chance. 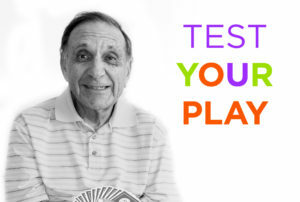 After cashing the ♠A, declarer played a club to the ace and another club. East won the trick with the ♣Q and got off play with his remaining trump. Declarer won in dummy with the ♠9 and led the ♣8. 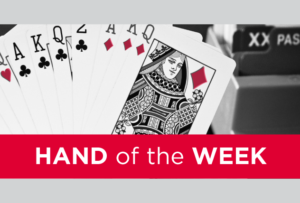 When the ♣K appeared, declarer ruffed it and had a 10th trick that did not depend on who held the ♦A. Declarer took five trump tricks, one heart, one heart ruff, one diamond and two clubs. Only an initial diamond lead defeats the contract.